For those hoping to get away early in the season, what better destination that sunny southern Spain. Our Coastal Adventurer tour here is available self-guided from February half term onwards and promises sweeping un-spoilt beaches, whale watching and the opportunity to stay in a magical handcrafted yurt. Prefer to let our guides show you the way? Our guided holidays may be the perfect trip for you. 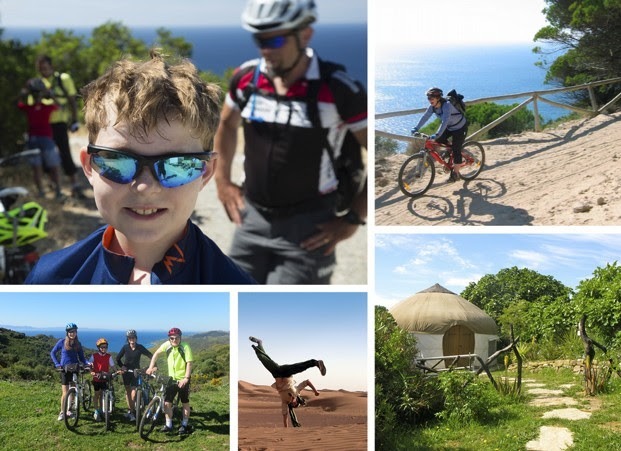 With options in Spain, Sardinia and Morocco over Easter there’s plenty opportunity to treat the kids to a cycling journey they’ll never forget. Whether camel trekking across the Sahara or island hopping in Italy, this is a great chance to escape for some early season sun. A room to cycle for….